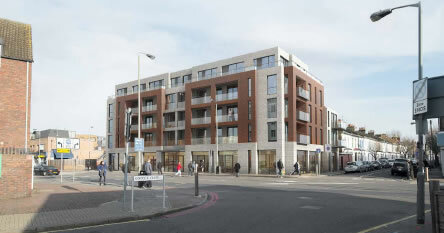 A new proposal for 15-27 Falcon Road (currently occupied by Tesco at its ground level) will replace a series of 2 storey maisonnettes by a 5 storey building, to create 25 new homes, including 1, 2 and 3 bed flats, two new retail units, cycle parking and space for a gym (with low membership fee). No parking spaces will be provided for new residents, and not resident permit on the streets. 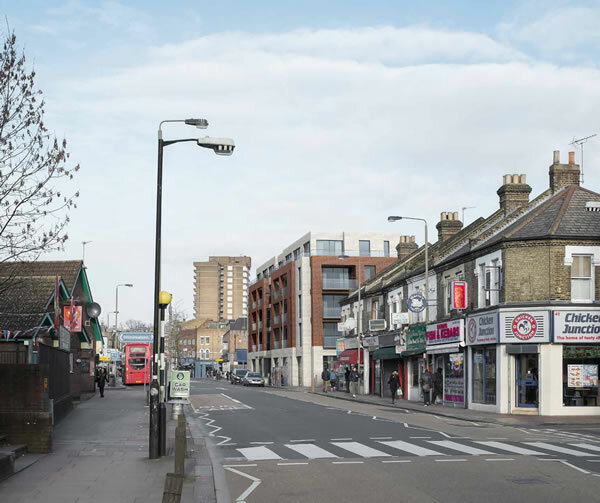 The proposals match the height and scale of the neighbouring buildings on Patience Road and Khyber Road (3 storeys to the top of the roof) stepping up to five storeys on Falcon Road. 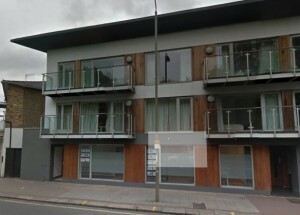 and retain the site on Falcon Road. Walters Properties is also proposing to rename the building Walters House, and will seek to do this in consultation with Wandsworth Council. I attended the exhibition organised at York Gardens Community Centre on Wednesday 3rd February 2016 to discuss the proposals. It will be of similar size to the site across the road (Redevelopment of the Princes Head pub site) which has already an approved planning permission for a 5 storey building (Dec. 2014). In its objection to the Princes Head redevelopment, the Battersea Society said that the visualisation the proposed building was substantially taller than neighbouring buildings and will be overly dominant in the streetscape. That was true at the time. Unfortunately since 2015 and proposals for the redevelopment of York and Winstanley Estates consisting mainly of 5 storeys buildings, the size of the 15-27 Falcon Road proposal is becoming the norm for the future of the area. In term of style, you will also note that similar modern façade exist in the same street already, closer to the bridge, although building does not exceed 3 storeys. Developers constantly use, nowadays, the excuse of good access to transport (and being environnementale friendly) to justify the absence of car parks. In reality, they save money as building car parking is expensive. It sweeps away the obvious need, from time to time, to access the building with vehicles (families, visitors, builders, delivery…etc) and the cumulative effect that such approach of ALL new developments will have on the area. Especially as, despite the proximity of Clapham Junction, the public transport is already stretched and congested, as acknowledged by TfL. To find out more about the plans for 15-27 Falcon Road you can email will@snapdragonconsulting.co.uk.